San Francisco, Calif., April 30, 2018. 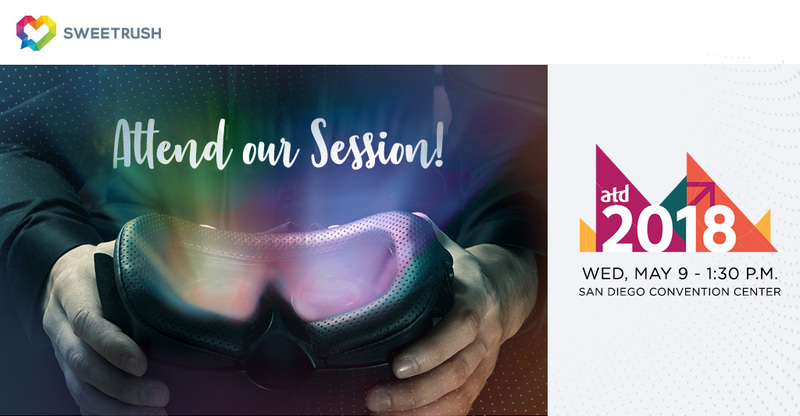 — SweetRush and Hilton are sharing their experiences in developing virtual reality-based learning solutions at the Association for Talent Development (ATD) International Conference and Exposition. Held at the San Diego Convention Center, “Virtual Reality: A Real-World Hilton + SweetRush Project Case Study,” takes place on Wednesday, May 9, at 1:30 p.m. It’s a great opportunity for learning professionals to get vital insights into the future of learning and development. Blaire Bhojwani, Senior Director of Learning Innovation at Hilton, and John-Carlos Lozano, Chief Creative Officer at SweetRush, will guide attendees through the creation of a state-of-the-art virtual reality (VR) learning program. They’ll discuss what types of business and learning challenges are ideal for VR, how to get buy-in from senior leaders, and lessons they learned about technology, process, and resources. Read more about the presentation on SweetRush’s events page. The Muse Creative Awards is an international competition for creative professionals who inspire through concept, writing or design, whether through traditional or electronic media. The Muse Creative Awards is administered and judged by International Awards Associates (IAA), and an elite panel of internationally recognized creative professionals. IAA oversees awards and recognition programs, provides judges and sets the competition’s rigorous standards.